About 783 jobs in Healthcare sector. activities for knowledge pass-down as well as compliance governance purposes. If you are a responsible, meticulous individual with high sense of urgency in problem solving, and takes pride in embracing the challenge of maintaining high system uptime, we want to hear from you! Proactively maintain and develop all Linux infrastructure technology to achieve continuous service uptime. To participate in the Disaster Recovery exercise for the ERP and other systems. Maintain best practices on managing systems and services across all environments. Proactively monitor and ensure the high availability of the systems. Manage, coordinate, and implement software upgrades, patches and applying hot fixes. Troubleshoot production issues, identify root causes and resolve the problem promptly. Lead groups in goal setting and progress monitoring. Identify need for outside support. Serve as a mentor/ developmental advisor and/ or training resource to less experienced staff, providing an example with regards to quality of work. Reporting to the Manager Infrastructure, the successful candidate will be responsible for the entire Linux and Unix systems across the group, providing support globally across 24 countries. Candidate must possess at least a Bachelor's Degree or equivalent, in IT or related fields. At least 5 years of proven track record in Linux system administration. Previous experience managing a project from kick-off to completion independently will be a strong advantage. Excellent problem solving and communication skills are required. Meticulousness will be a desired attribute. Experience working in a multi-cultural global setting will be an added advantage. Prior industry background with a 24/7 operations business model will be preferred. Knowledge in Shell Scripting, Storage and VMWare technologies will have an added advantage. Sivantos Group seeks for a Senior / Design Engineer (Rechargeability) (m/f) to join our wireless team. You will work as a key member to integrate wireless solution for our hearing aid devices by working closely with our platform and integration team. Reporting back to the manager of the wireless integration team for rechargeability, you will be responsible to design and deliver best in-class charging performance. The successful candidate will be an experienced Engineer with proven strong capability and expertise in wireless rechargeable design and integration. He/She will preferably have experience working in international environment, with cross functional teams across geographical sites. Wondering what is it like to be working in a global organisation in a R&D environment? Thinking of applying your knowledge and gain practical industry experience working with state-of-the-art tools and technology? As we further our research studies in Electro-acoustics topics, we are looking for an intern to join us on a 6 months duration for a project study. art solution in vibration and acoustic performance for hearing aids receiver. If you are looking to explore life working with a dynamic team and learn more about life as an Engineer in a R&D set up, do reach out to us and find out more! We are looking for a R&D Audiologist to join our Audiology team. Reporting back to our Manager, Audiology, you will work closely in a team to develop and coordinate audiological tests of hearing aids features. You will be engaged in both internal and external scientific research in audiology. The successful candidate will be an experienced audiologist, with strong audiological knowledge and has at least 2-3 years of clinical or research experience in Audiology. S/He should have strong interest in scientific research in Audiology and possesses strong debugging skills. Interested applicants, please submit your application online. We regret only shortlisted candidates will be notified. Thank you! Oversee and support the entire financial reporting, forecasting and budgeting process for 1 to 2 key business unit. Monthly presentation of results to the business during operations review, highlighting trends and variances in key performance indicators including all areas of revenue, cost of sales, expenses and capital expenditures. Business Head to ensure quality of forecasts and budgets. Responsible for all presentation packages for Management and Board relating to the dedicated business units. Drive process improvement for all existing process, including Purchase to Pay, Accounts Payable, Accounts Receivable, Inventory management, etc. Lead or participate in any cross-functional projects. University Degree in Business, Accounting or Finance. An advanced Degree (Masters) and/or Professional Accreditation (CPA, CMA) is a plus. A minimum of 7 years' experience related to financial planning & analysis. Experience in an MNC is a plus. A leader, team player, self-motivated and customer oriented. 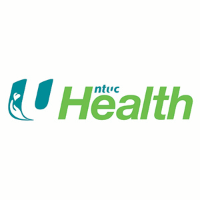 NTUC Health is looking for a meticulous and self-driven project and change management lead with proven record of accomplishment of delivering IT applications and IT infrastructure projects. This role is a key appointment in the NTUC Health technology team to help the organisation transform and move towards the digital platform. The selected candidate will report directly to Chief Digital and Technology Officer of NTUC Health. The Human Resources Business Partner role contributes to company performance by providing tactical and strategic consulting on people and organization development strategies in support of the business objectives. Performs HR related duties at the professional level while supporting more than one functional group. Will carry out responsibilities in the following functional areas: talent acquisition; employee relations, policy interpretation and application, performance and compensation management. HR strategy to business strategy. Acts as change agent to business through process design and approaches that support change and transformation - striving to lead mutual processes to best practice status. Conducts ongoing supply and demand analysis for business partners on current and future state staffing and skill needs and designs talent acquisition strategies to meet those needs. Pre-screens candidate applications and resumes for required skills; experience and knowledge to fit position requirements. Makes referrals to hiring manager and ensures efficient turn-around activity.• Actively participates in recruitment campaigns; job fairs; college relations programs; general networking; etc. to ensure robust candidate pipeline. Facilitates process of candidate selection; interviewing; job offer; background check; and candidate on-boarding details. Partners with HR Shared Services, Payroll & HRIS and Compensation and Benefits functions as needed to provide solutions for business. The incumbent is responsible for performing training needs assessments, designing and delivering curriculum and learning materials and for managing all phases of training interventions. Attend meetings and seminars to obtain information for use in training programs or to inform management of training program status.